Arranged jointly by the IPBES task force on capacity-building and the management committee of the regional assessment of the Asia Pacific, with the generous support of the Japanese Agency for Marine-Earth Science and Technology (JAMSTEC), Ministry of Environment Japan (MoEJ), Institute for Global Environmental Strategies (IGES) and the Asia Pacific Network for Global Change Research (APN). 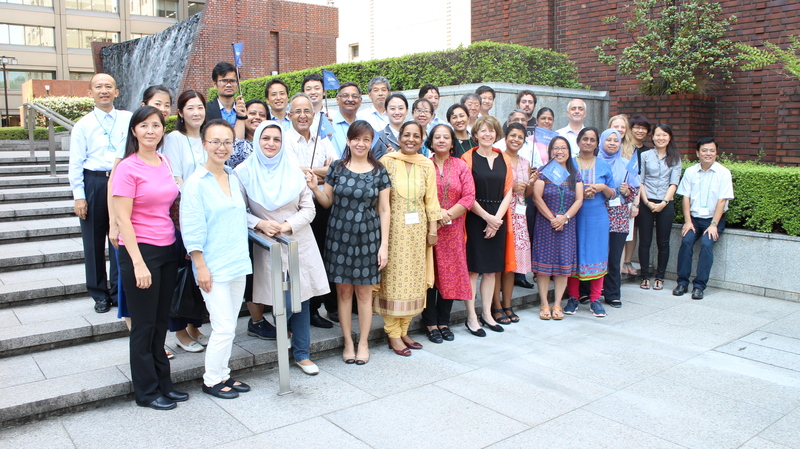 Participants at the regional dialogue meeting for the Asia Pacific. Copyright: IPBES technical support unit of the regional assessment of Asia Pacific.